IDBI Bank Recruitment 2019 - Apply Online for 500 Assitant Manager Posts in IDBI Bank, Across India. Online Applications are invited by IDBI Bank from 04 Apr 2019 to 15 Apr 2019 for 500 vacancies. Graduate from any discipline from a recognized university with minimum 60% marks. 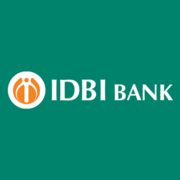 Eligible candidates may apply online at IDBI Bank's website (direct link is given below) from 04 Apr 2019 to 15 Apr 2019. Go to "Career" & Select the desired post.